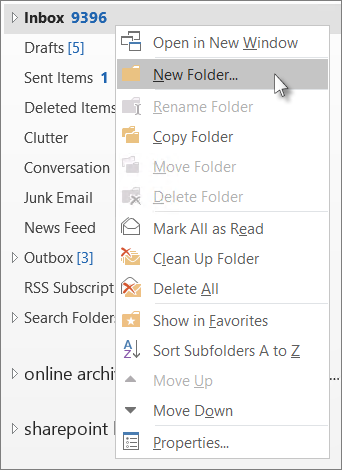 In the left pane of Mail, Contacts, Tasks, or Calendar, right-click where you want to add the folder, and then click New Folder. Note: When in Calendar, the New Folder command is replaced with New Calendar. In the Name box, enter a name for the folder, and press Enter.